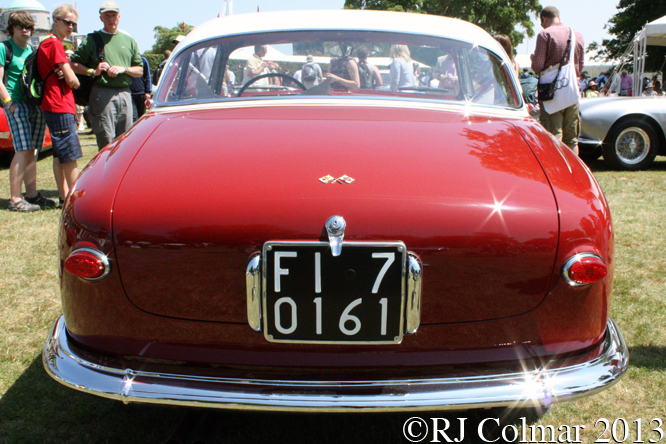 Like Pinin Farina bodied A6G I looked at last week today’s featured Frua bodied A6G is believed to have been shown at the Paris Salon albeit in 1955 rather than ’54. 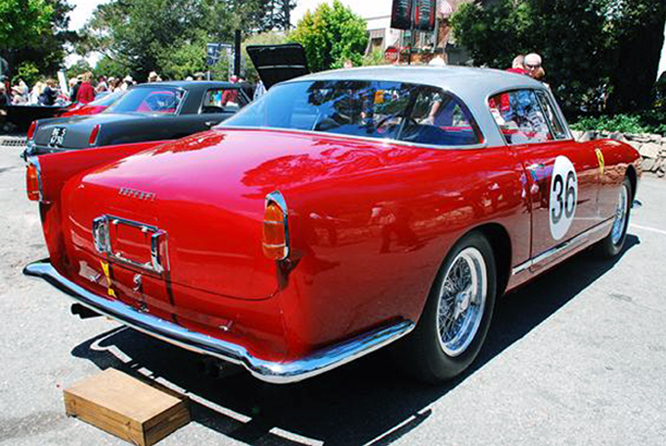 Pietro Frua was the son of a tailor and a mother who was a FIAT employee. He was an apprentice at FIAT where he was taught to become a draughtsman. At 22 Pietro became Director of Styling at the Stabilimenti Farina and in 1938 he struck out alone by founding his own styling studio. He was succeeded at Farina by Giovanni Michelotti. 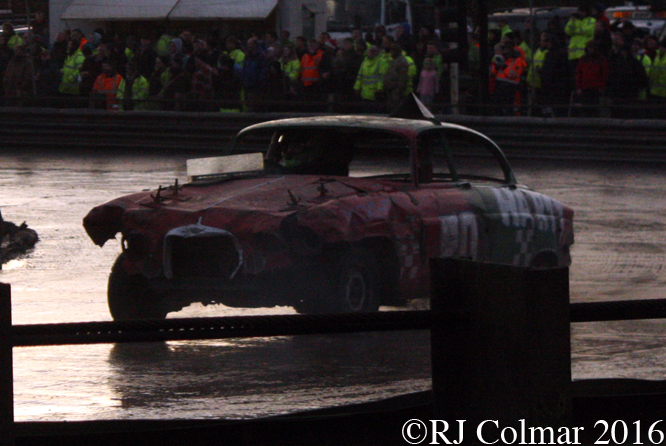 In 1944 Pietro bought a bombed out factory where he would design and build his cars. 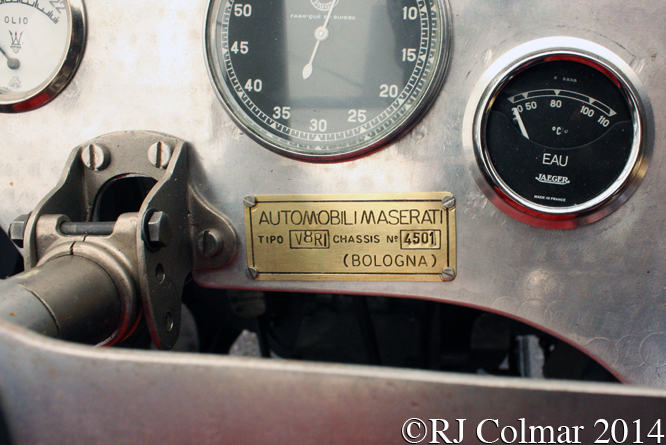 Among his early clients were Maserati for whom he built 26 cars to three different designs. 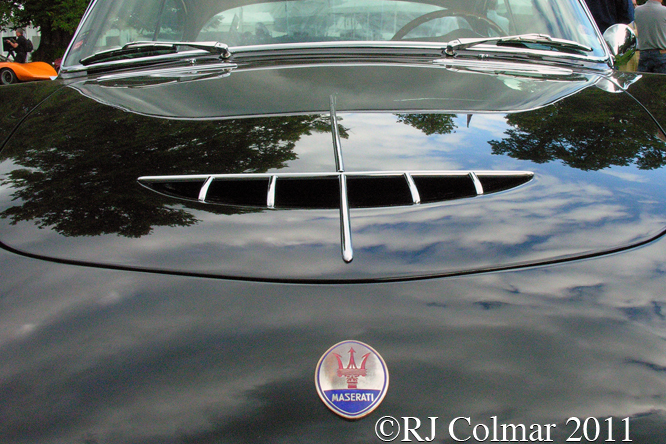 Only seven of the 26 Frua Maseratis would be Coupés and only four were of the same design as today’s featured #2114, which is the third of the series. 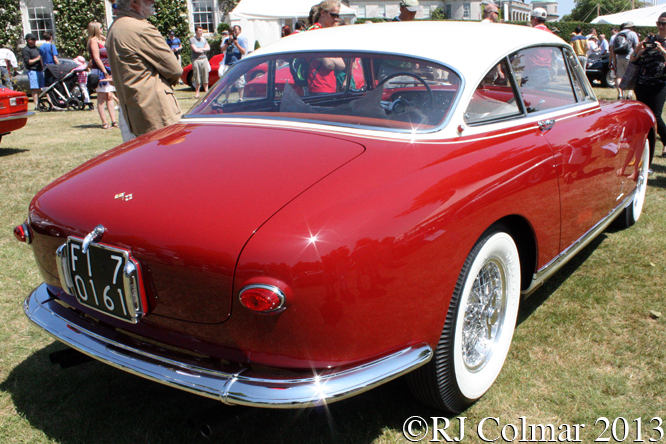 In 1954 Frua sold out to Ghia where he was appointed head of design. 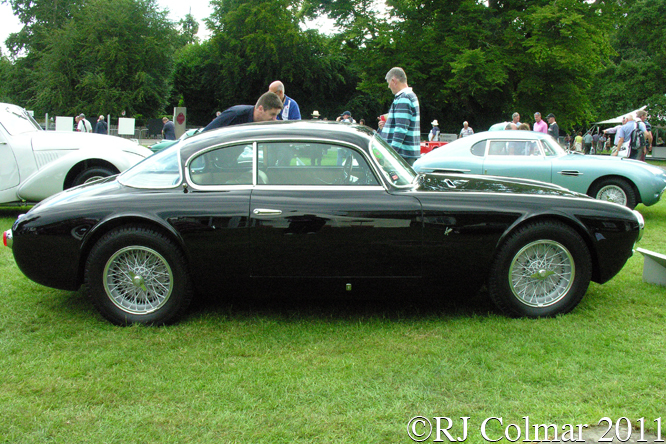 Frua fell out with Ghia and eventually became an independent designer of vehicles for the German company Glas which was taken over by BMW, Maserati and Monteverdi. 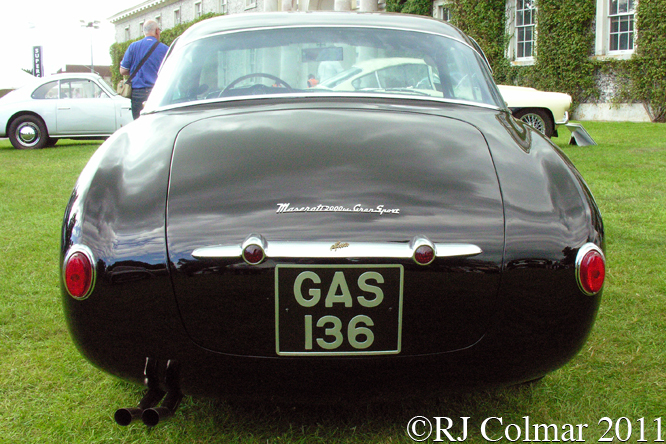 Today’s featured car #2114, seen here at Goodwood Festival of Speed several years ago has belonged to Jamiroqui singing legend JK for around a decade and won many concours d’elegance awards during that time. Thanks for joining me on this “JK Car Corture” edition of “Gettin’ a li’l psycho on tyres” I hope you will join me again tomorrow when I’ll be looking at a Bugatti. Don’t forget to come back now ! 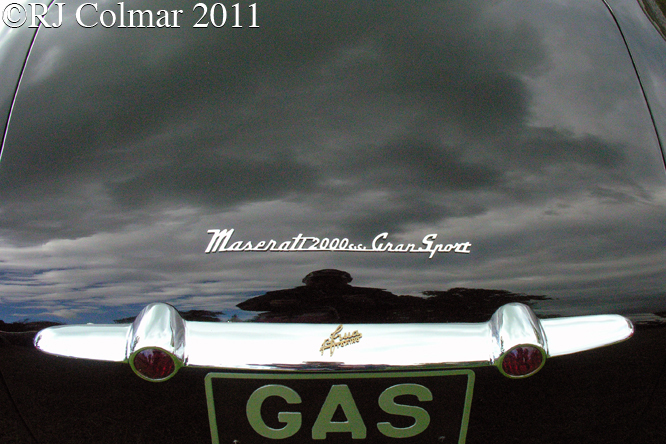 This entry was posted in Uncategorized and tagged A6G, Colmar, Coupé, Farina, Festival of Speed, Fiat, Frua, GALPOT, Ghia, Goodwood, Jamiroquai, JK, Kay, maserati, Ralph on August 18, 2014 by Ralph. 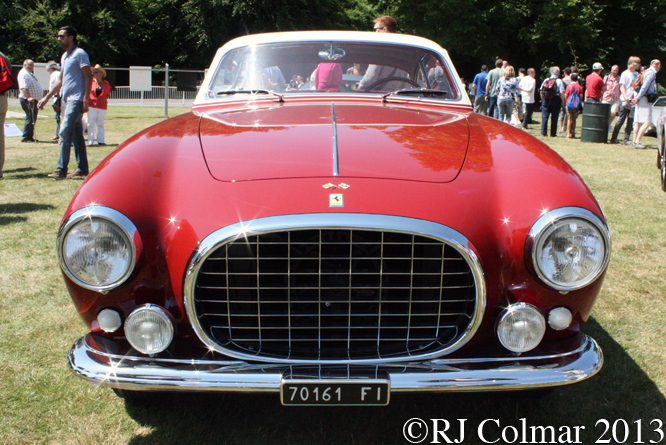 When Pinin Farina could no longer keep up with the production of Ferrari bodies in the mid 1950’s a deal was struck with Mario-Felice Boano of Carrozzeria Boano to manufacture bodies to a Pinin Farina design. Today’s featured Low Roof Coupé chassis #0553GT was manufactured in 1956 and delivered to it’s first owner Franco Buzzoni in Pisa, Italy. 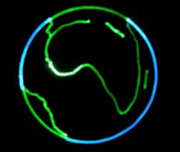 By 1960 it was to be found in the United States the car then went to France and the Netherlands having it’s original motor swapped out in the 1970’s. In 2006 #0553GT was reunited with it’s original motor and the following year owner Tony Schwartz gave the car it’s competition debut winning it’s class at Mt. Tremblant and in two races at Fontana. In 2008 Gerald T. Vento of Velox Motorsport acquired #0533GT which is one of 88 Ferrari 250 GT’s for which Boano built bodies between 1955 and 1957. 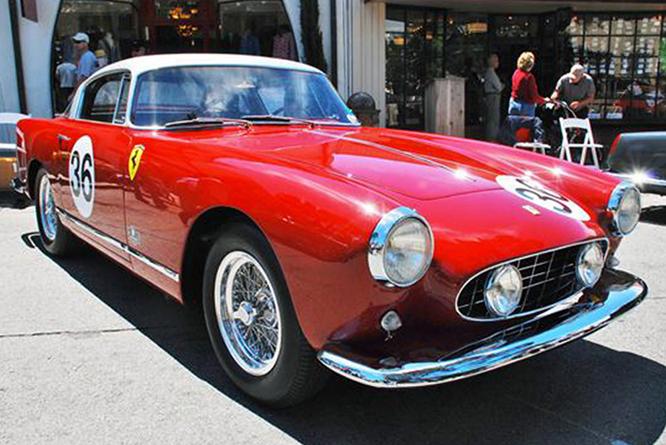 My thanks to Geoffrey Horton for sharing his photo’s of #0533GT which were taken at Concours on the Avenue in Carmel by the Sea in 2011. Thanks for joining me on this “Low Roof Coupé” edition of “Gettin’ a li’l psycho on tyres” I hope you will join me again for a FIAT by Bertone. Don’t forget to come back now ! 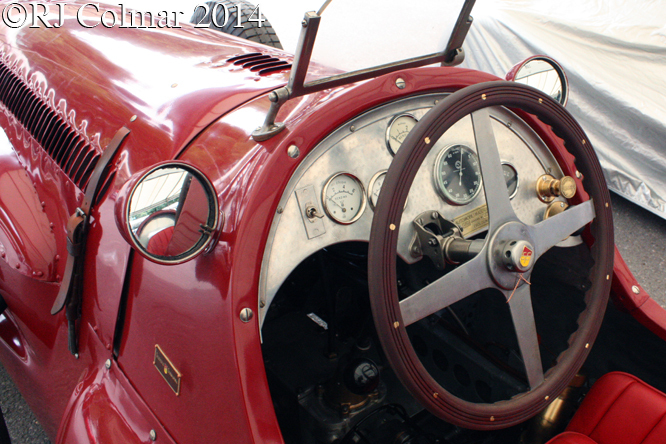 This entry was posted in Uncategorized and tagged 250, Boano, Buzzoni, Carmel by the Sea, Colmar, Concours on the Avenue, Farina, Ferrari, Fontana, GALPOT, Geoffrey Horton, GT, Mt Tremblant, Ralph, Schwartz, Vento on May 23, 2014 by Ralph. After a meeting between Batista Farina, in 1961 to become Batista Pininfarina, and Enzo Ferrari at a restaurant in Tortona, a small town halfway between Turin and Modena, Batista drove home an told his son Sergio “From now on you’ll be looking after Ferrari, from A to Z. Design, engineering, technology, construction—the lot!”. 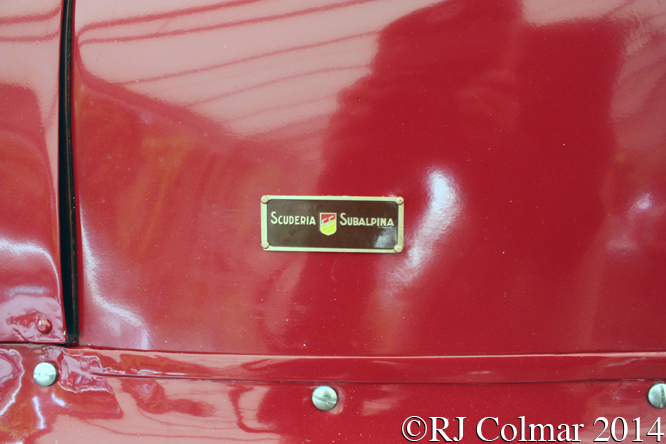 Sergia says he was over the moon with happiness and one of the fruits of that conversation is today’s featured Ferrari 250 Europa Coupé chassis #0305EU delivered in late September 1953. According to the blurb about this car seen at Goodwood, #0305EU was originally commissioned by a friend of Batista Farina called Latino Magnolfi, given the PF job number 12531 chassis #0305EU features unique to the 250 Europa Coupé model 3/4 windows a shorter windscreen and larger grill than the other 250 Europa’s. 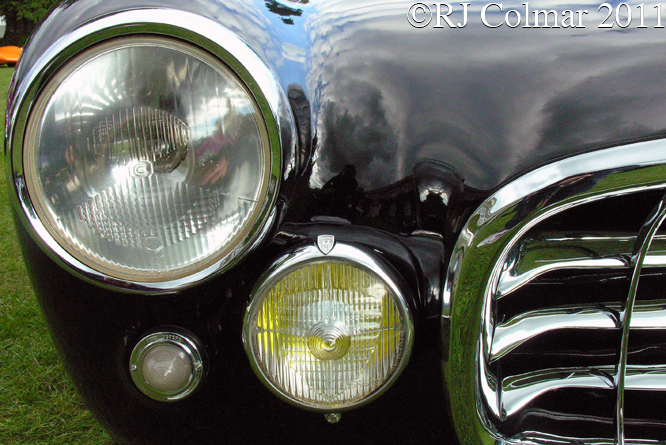 Magnolfi used to enter the car in Concours d’Elegance events before he sold the car. The exact history of the #0305EU after the sale is not known to me but it ended up in the USA and after the repair of the 3 litre / 183 cui V12 motor became uneconomic the motor and gearbox was swapped for a Chevrolet V8 and and associated transmission. 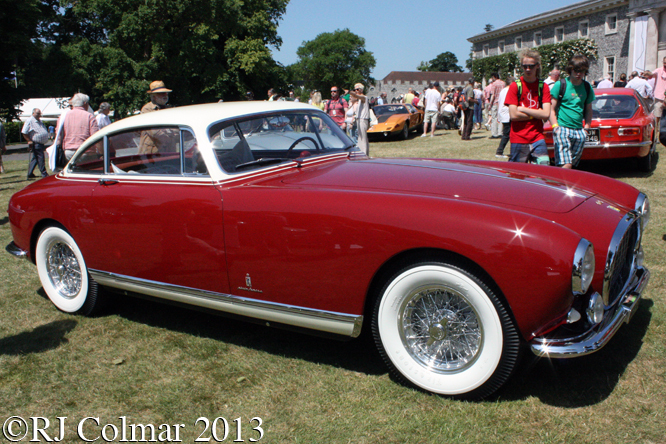 In 2006 current owner Jan de Reu acquired the car which has been fully restored to its white wall tyre two tone Burgundy and Cream splendor, with a correct Colombo designed Ferrari V12 motor, by Ferrari Classiche. 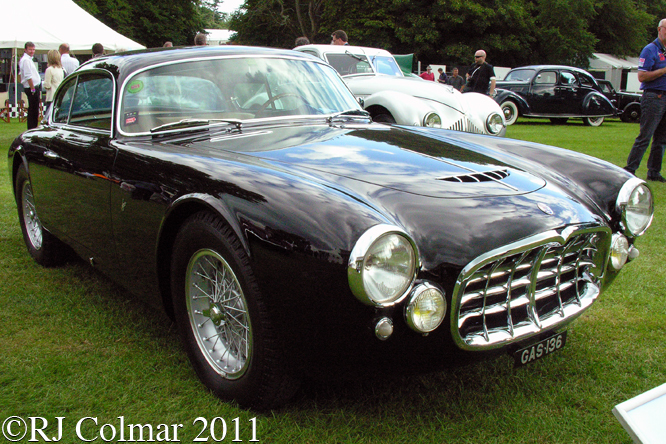 As some of my regular readers may remember the Ferrari 250 Europa is closely related to the Ferrari 375 America, the later of which is powered by a larger 4.5 litre 274 cui Aurelio Lambredi designed long block V12. Thanks for joining me on this “Burgandy & Cream” edition of “Gettin’ a li’l psycho on tyres” I hope you will join me again tomorrow when I be looking at Dan Gurney’s Can Am McLeagle. Don’t forget to come back now ! 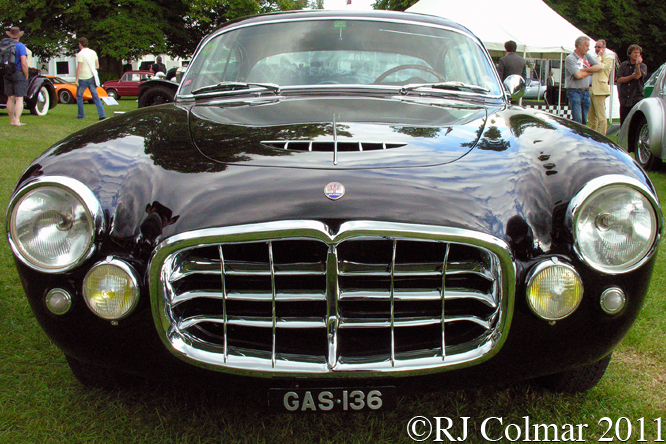 This entry was posted in Uncategorized and tagged 250, 375, Car, Chevrolet, Classiche Reu, Colmar, Colombo, Coupé, Europa, Farina, Ferrari, Festival of Speed, GALPOT, Goodwood, Lamperdi, Magnolfi, Pininfarina, Ralph, Sports on August 16, 2013 by Ralph. 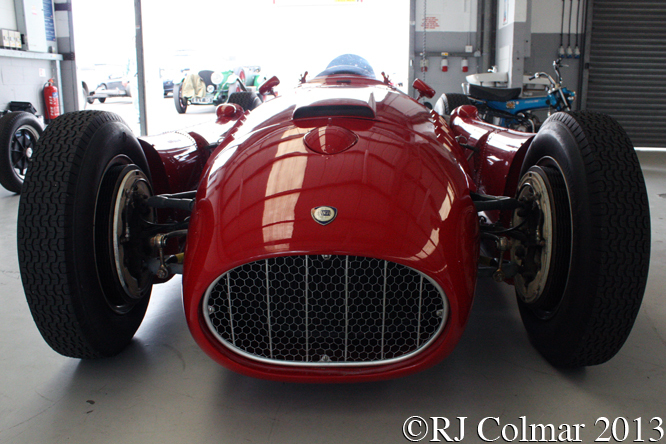 Keen to project a successful image through participation in Formula one with it’s new 2.5 litre / 152 cui engine regulations Lancia commissioned Vitorrio Jano to design a new challenger in 1953. 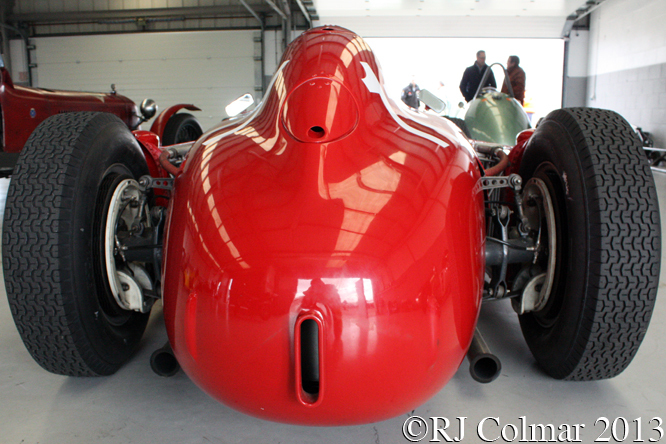 Over the development period of the car several different noses were used above is the original short nose. 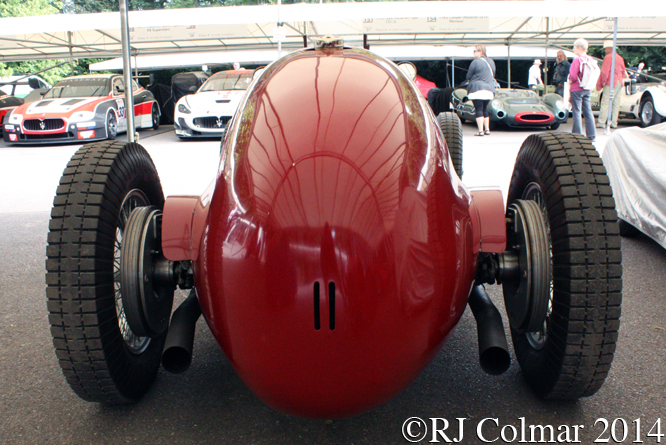 Jano paid a lot of attention to how the weight was to be distributed in his new design which led to the D50’s most distinctive the pannier tanks between the wheels that did away with the need for a rear fuel tank which was de rigueur for contemporary formula one cars. 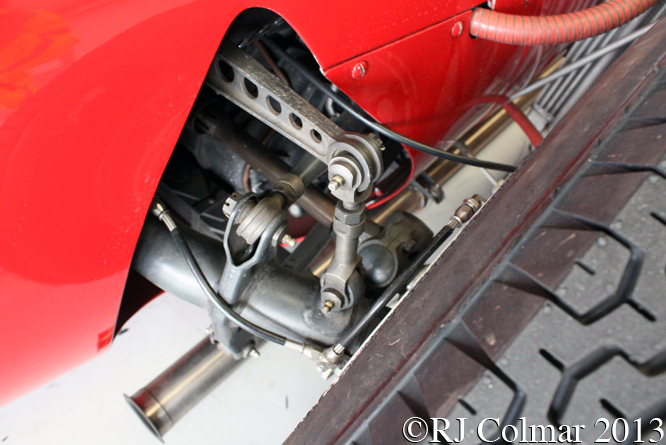 Jano selected a compact 90° V8 motor configuration that was offset 12° from front right to rear left. 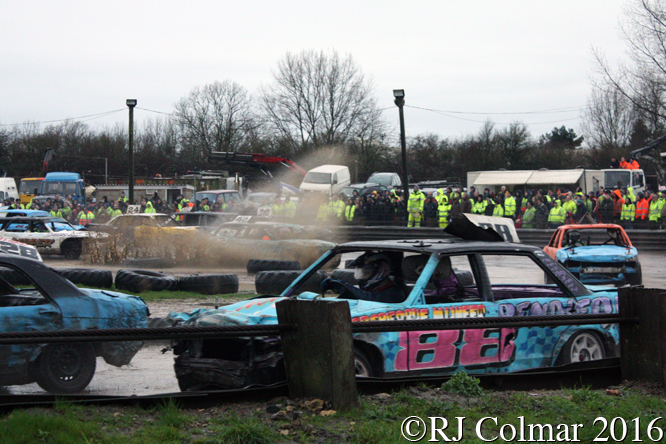 The motor featured twin plugs per cylinder produced around 260 hp. 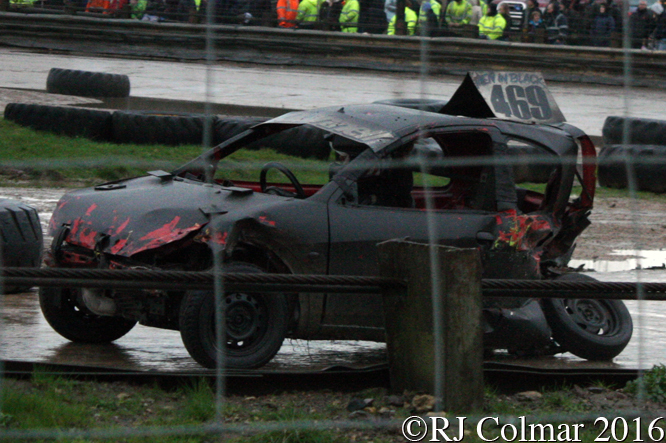 Unusually for the time the motor also functioned as an integral stressed member of the space frame chassis. 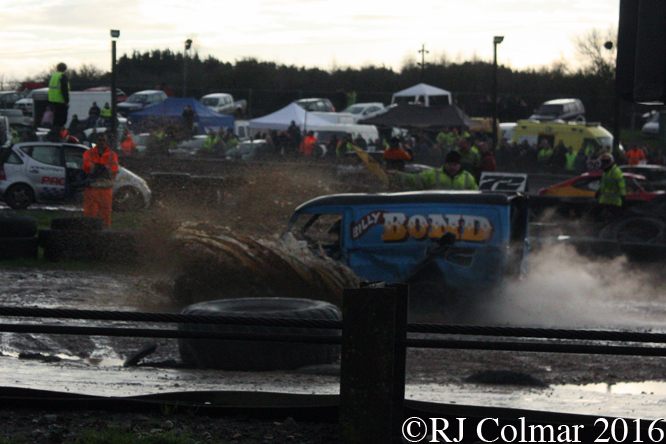 The car also featured a gearbox that was transversely mounted into the rear axle. 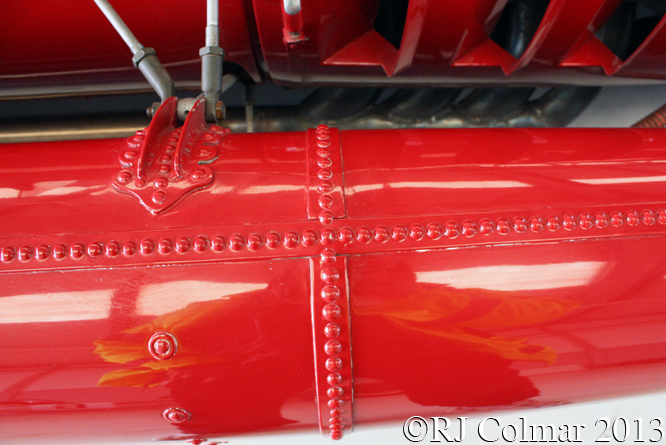 The cooler for the transmission unit is seen just ahead of the rear axle between the panier tank and the rest of the chassis. 1952 and 1953 double World Champion Alberto Ascari and Italy Luigi Villoresi drove the D50’s on their first appearance in the World Championship in the last race of the 1954 season at the Spanish Grand Prix held on the Pedralbes street circuit in Barcelona. After qualifying 1st Ascari led for three laps before retiring with clutch problems on lap 10, Villoresi started 5th and retired after two laps with brake issues. 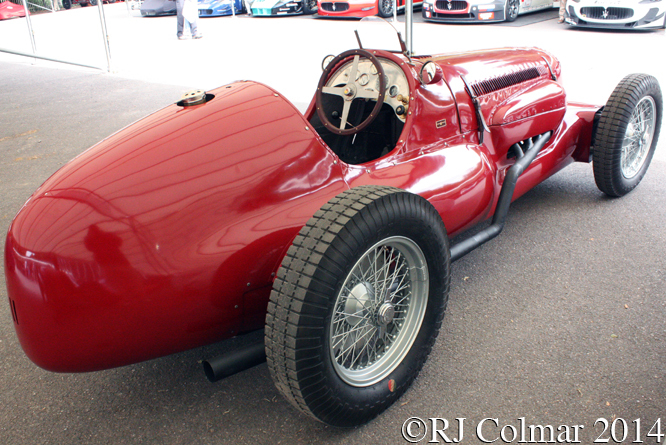 Lancia entered three cars in the 1955 Argentinian Grand Prix for Ascari who started from second and retired after an accident on lap 22, Villoresi qualified 11th and again only lasted for two laps before his car retired with a fuel leak. 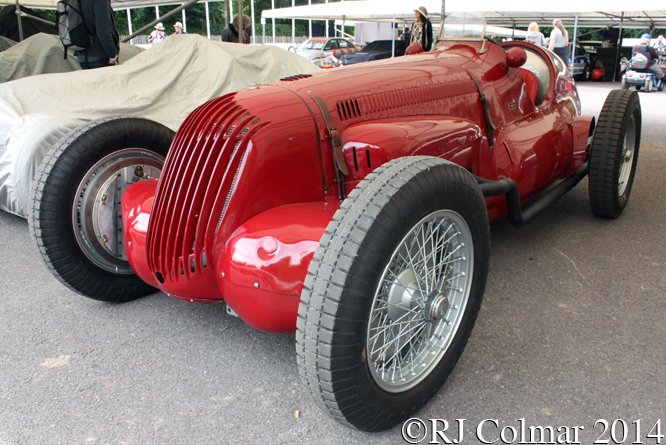 Villoresi replaced Eugenio Castellotti who had started 12th only to be involved in an accident on lap 35 from which the 3rd Lancia did not recover. At Monaco Ascari again qualified 2nd but his car famously ended up in the harbour on the 81st lap which he survived, only to die the following week testing a Ferrari. 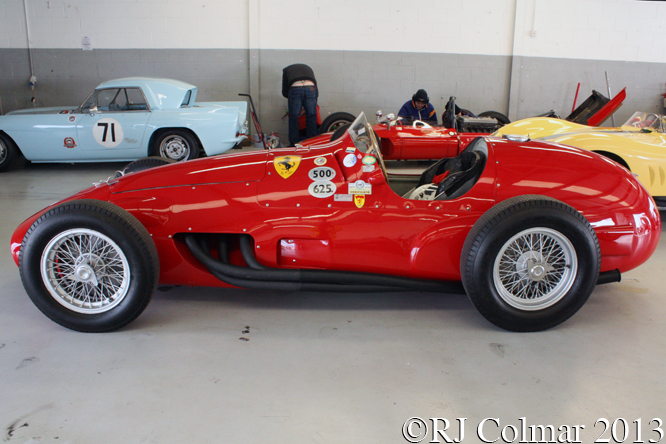 Castellotti qualified 4th and finished 2nd, to Maurice Trintignant in the Ferrari 625A I looked at last week, while Villoresi qualified 7th and finished 5th one lap down. Monaqasque Louis Chiron drove a forth D50 Lancia from 19th on the grid to 6th 5 laps down. Castellotti started on pole in Belgian Grand Prix but retired on lap 16 with gearbox problems on the Scuderia Lancia teams final appearance. At this point Lancia ran into financial difficulties and the company ended up in the hands of the Pesenti family while Gianni Lancia handed over the racing cars to Enzo Ferrari who was not having a lot of joy against the might of Mercedes Benz with his Squalo and Super Squalo models. The D50’s next appeared at the 1955 Italian Grand Prix where they were entered by Ferrari for Giuseppe Farina who qualified 5th and Villoresi who qualified 8th. However Farina crashed on the Monza banking when a tyre failed and Enzo chose to withdraw the D50’s. 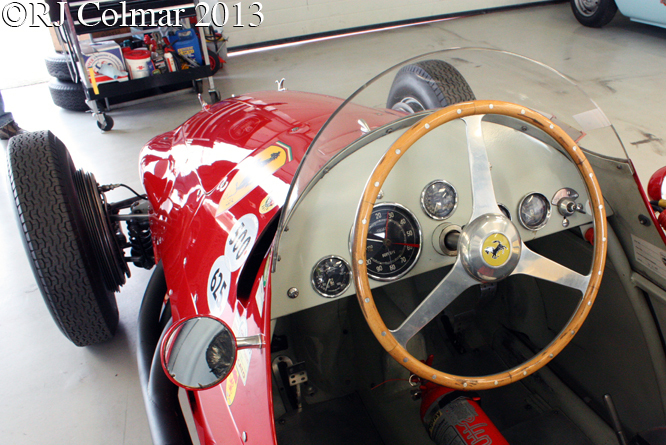 Over the off season Ferrari developed the cars for his new signing reigning world champion Juan Manuel Fangio. Fangio won first time out in the D50 at the 1956 Argentinian Grand Prix, but only after his car retired and he took over the car that started with Luigi Musso at the wheel, at Monaco Fangio finished 2nd again after retiring his own car and jumping in his team mate Peter Collins car. Collins then won in Belgium and France with Fangio winning in Britain and Germany to give him an eight point lead over Collins going into the final race of the season at Monza. Fangio qualified on pole but a steering arm on his D50 broke, his team mate Musso refused to hand over his car and on learning this team mate Peter Collins did not hesitate to hand over his car, thus giving up the opportunity to win the championship which Fangio won after finishing second. 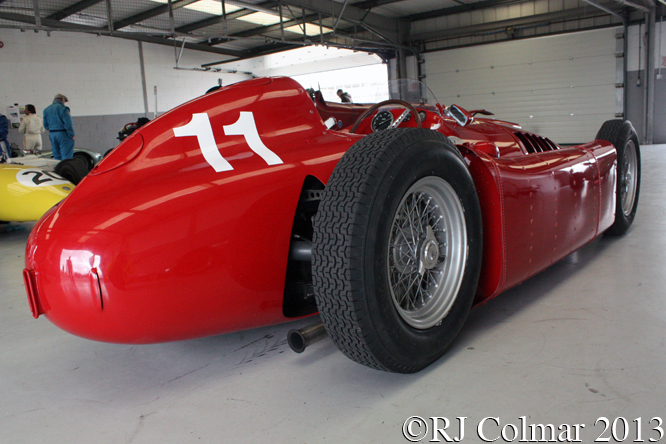 Collins finished the ’56 Championship third in points behind Stirling Moss who drove for Maserati. 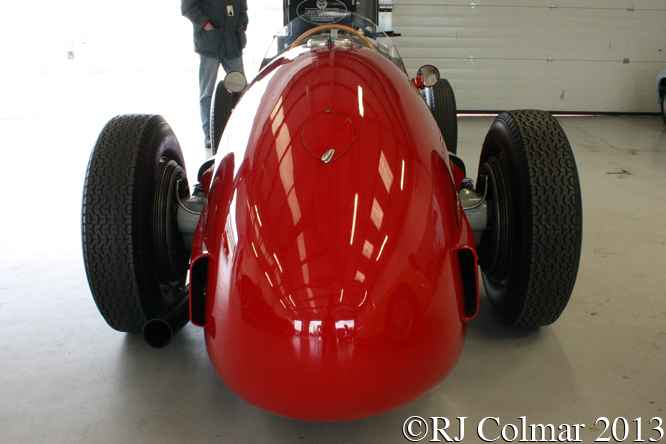 The following season Fangio went to Maserati with whom he won his fifth and final championship. 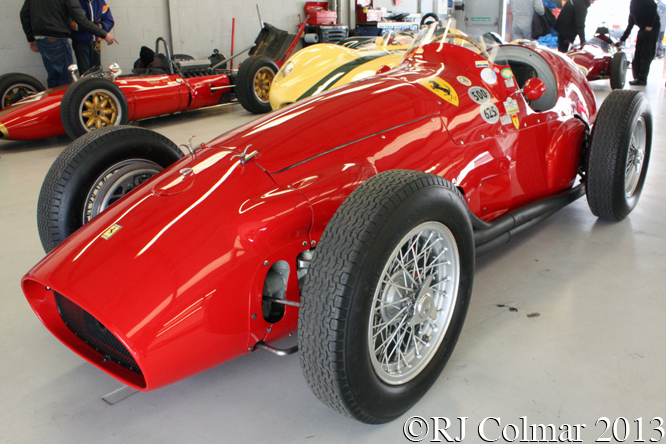 Ferrari entered no fewer than seven D50’s for the first race of the 1957 season in Argentina which were lined up against seven Maserati 250F’s. 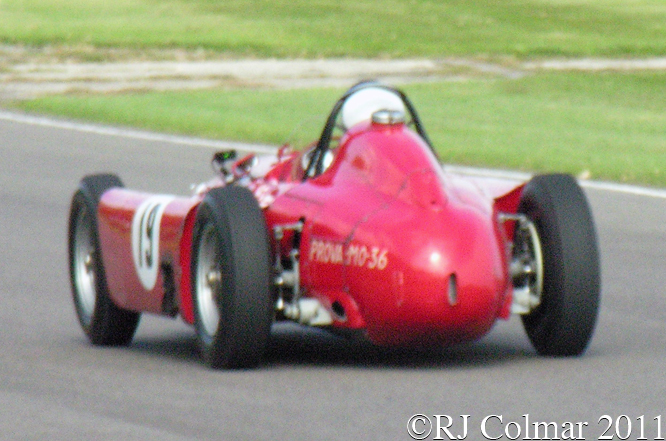 Fangio won in his 250F the best D50 shared by Alfonso de Portago and José Froilán González which finished 5th and two laps down. Mike Hawthorn was the last person to drive a D50 in a Championship race in the ’57 Monaco Grand Prix where 5th but retired after an accident on lap 5. 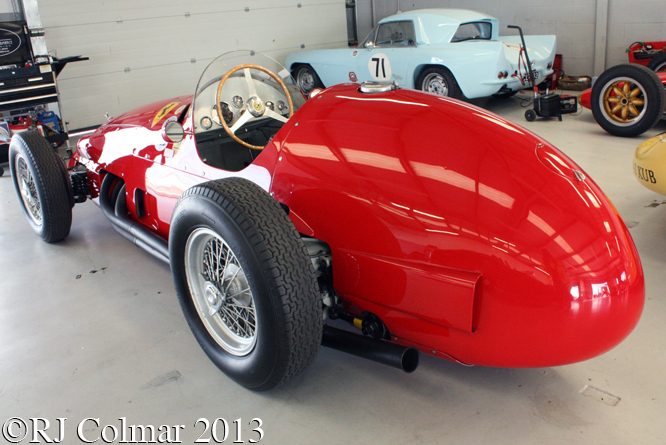 Ferrari swithched it’s efforts to the Lancia V8 powered 801 for the remainder of the 1957 season. 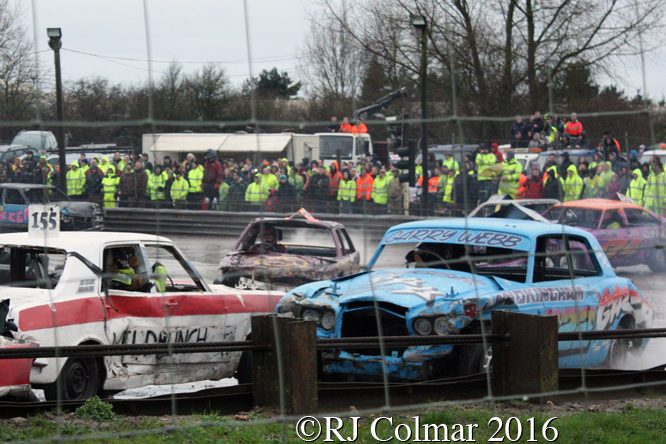 All but two of the original D50’s were broken up, the cars seen here are both, so far as I know replica’s using some of the left over parts from the broken up cars. 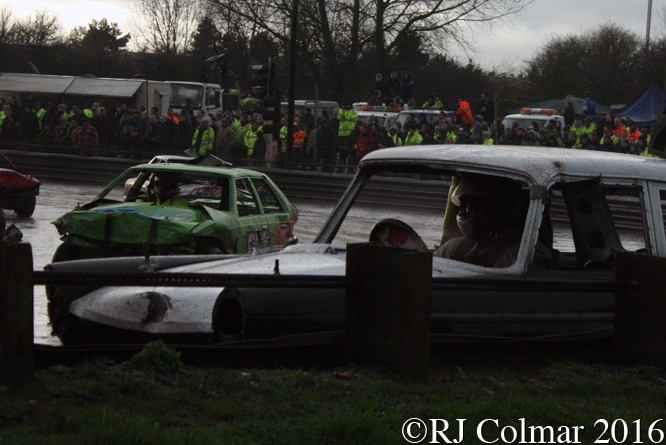 Six replica’s are known to have been built by Jim Stokes Workshops Ltd. Thanks for joining me on this “Weight Distribution” edition of “Gettin a li’l psycho on tyres” I hope you will join me again tomorrow. Don’t forget to come back now ! 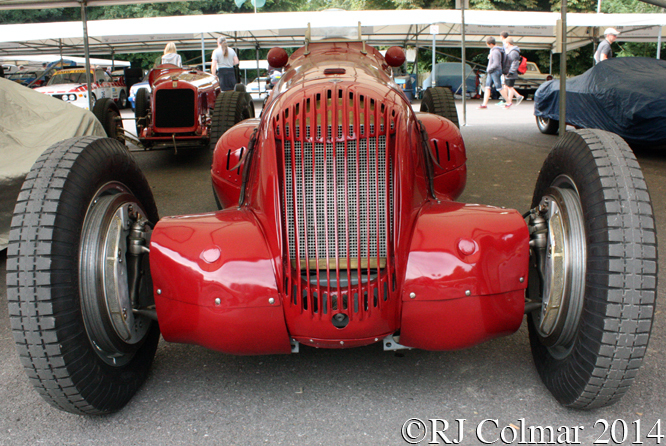 This entry was posted in Uncategorized and tagged Ascari, Castellotti, Chiron, Collins, Colmar, D50, de Portago, Fangio, Farina, Ferrari, GALPOT, Gonzalez, Goodwood, Hawthorn, HGPCA, Jano, Jim Stokes Workshops Ltd, Lancia, Musso, Ralph, Revival, Scuderia, Silverstone, Villoresi on July 12, 2013 by Ralph. 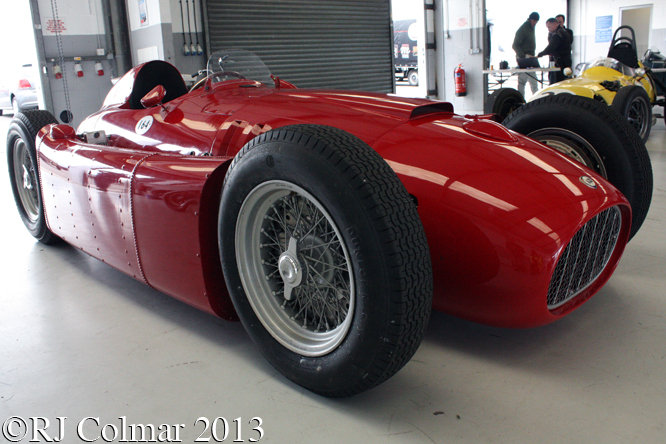 Wondering around the pits at Silverstone during an HGPCA test day a couple of months ago I was overwhelmed by the sheer number of cars just waiting for their stories to be told, one such was today’s featured Ferrari which was built in 1952 as a 4 cylinder 2 litre / 122 cui Ferrari 500 chassis #3 for the Formula 2 season which was also designated as the World Drivers Championship Formula. 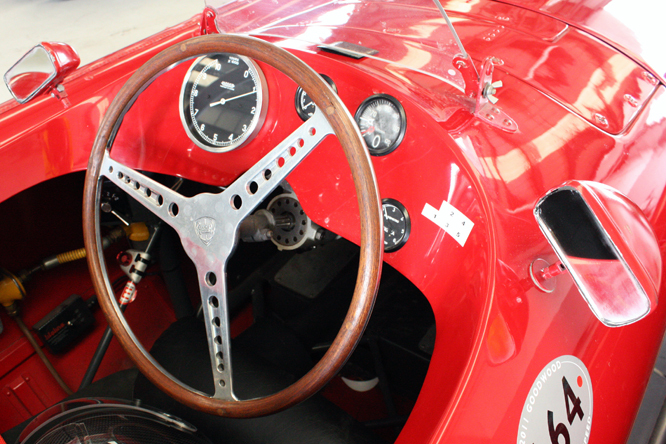 This car is said to have raced alongside the sister chassis #005 raced by Alberto Ascari to two consecutive World Drivers Championships, though I have yet to discover who drove it or the results it achieved. 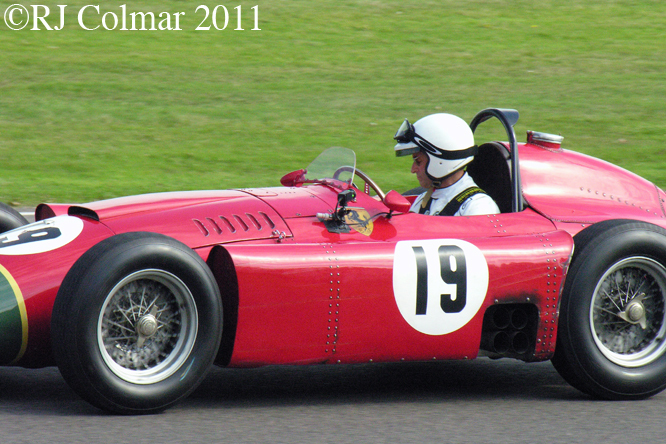 In 1954 new Formula One regulations were adopted for the World Drivers Championship mandating 2.5 litre / 152 cui motors and when Ferrari ran into problems with it’s intended ‘Squalo’ 553 challenger they converted some of the old Formula 2 cars to “625” specification with larger 2.5 litre / 152 cui 4 cylinder motor. 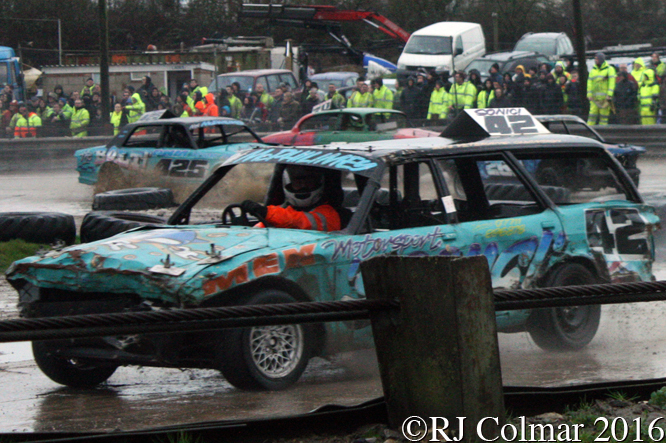 This particular car then became a 625 with the chassis number 2. 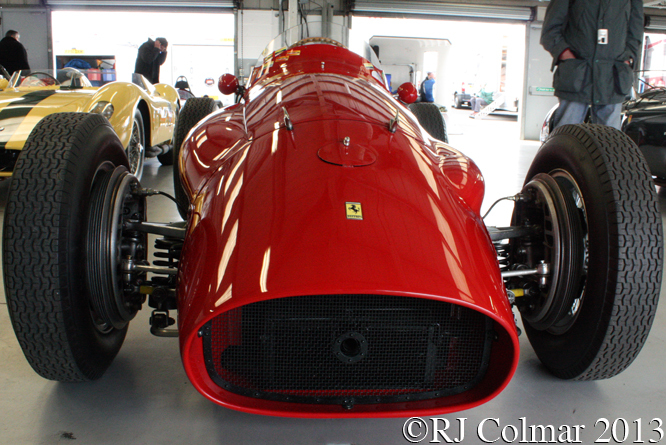 With no progress on the Squalo and later 555 Super Squalo designs Ferrari updated this car further to 625A spec for the start of the 1955 season with a more aerodynamic tail, the chassis was lengthened by just under two inches, the additional length being inserted by cutting the chassis just ahead of the cockpit and the suspension was revised with coil springs replacing the transverse leaf spring at the front. The cars first race of the 1955 World Drivers Championship season was in Argentina, which lent it’s initial to the 625 designation. 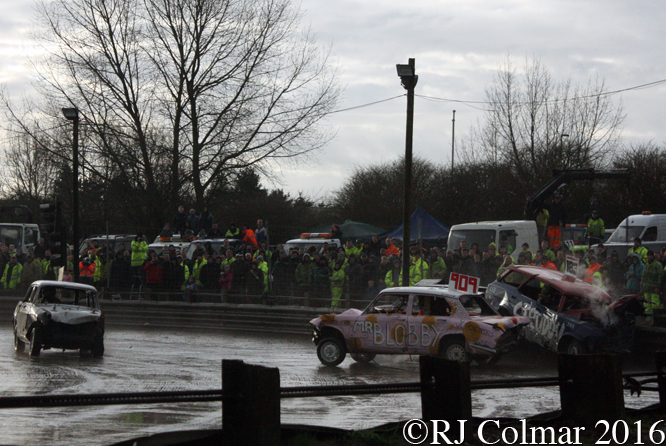 Two 625A’s were entered and they finished second and third behind reigning champion Juan Manuel Fangio’s Mercedes Benz. Unusually the two 625A’s were each driven by three drivers coming in second were Gonzalez, Farina and Trintignant and third were Maglioli who shared with Trintignant and Farina ! The next race was at Monaco where Maurice Trintignant qualified today’s featured car 9th behind a pair of Mercedes Benz cars, three Lancia D50’s and three Maserati’s. During the race Trintignant, for whom everything outside racing was ‘just waiting’, guided his car to an unlikely victory as those ahead retired with mechanical issues while the Lancia driven by Ascari famously fell into the water which he survived only to be killed four days later testing a Ferrari sports car at Monza. The 1955 Monaco victory was the first World Drivers Championship event to be won by a Frenchman since it’s inception in 1950, the first to be one on Englebert Tyres and Ferrari’s only victory in the 1955 Championship season. 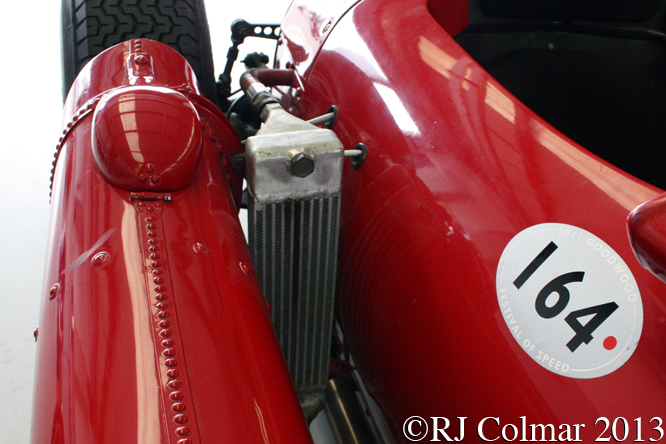 At the end of the year the car was fitted with a 4 cylinder 3 litre / 183 cui Ferrari 750 sportscar motor and sold to British wool merchant and amateur racer Peter Whitehead, with Peters old customer chassis number #0482 to compete in the unrestricted Formula Libre races being held in New Zealand in 1956. Peter won both the Lady Wigram Trophy and the Southland Road Race, note some sources incorrectly point to this car being driven by Peter Whitehead to two victories in New Zealand in 1957, by then he was actually drove and won both races with in a Ferrari Super Squallo 555 fitted with an 3.4 litre 860 Monza sports car motor. Late in 1956 Froilan Gonzales bought the car and took it to Argentina where it appears to have remained until it resurfaced in the United States in the 1990’s. 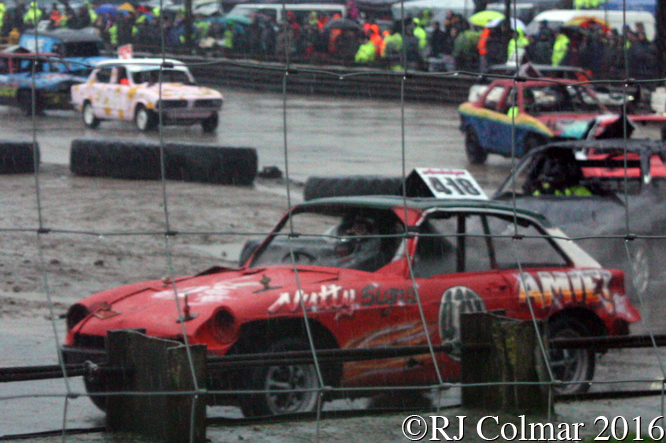 Current owner Alexander Boswell bought the car in 1999 and found the three chassis numbers which confirmed the cars identity and history welded one atop the other. 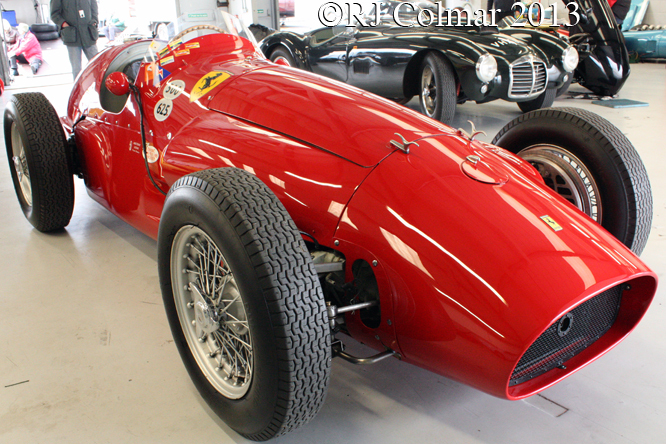 Mr Boswell had the car restored to the same 3 litre / 183 cui 625A/750 #0482 specification as it was when supplied to Peter Whitehead by Ferrari for his New Zealand adventure. Thanks for joining me for this “Just Waiting” edition of “Gettin’ a li’l psycho on tyres” I hope you will join me again tomorrow. Don’t forget to come back now ! 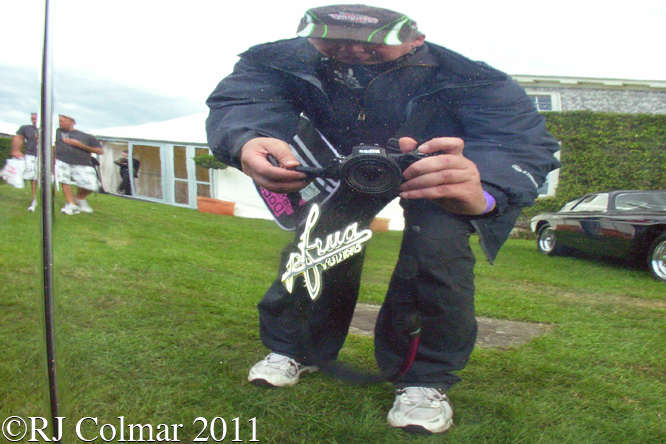 This entry was posted in Uncategorized and tagged 500, 625A, 750, Boswell, Colmar, Englebert, Farina, Ferrari, Formula, GALPOT, Gonzalez, HGPCA, Libre, Magiloli, Monaco, New Zealand, One, Ralph, Silverstone, Trintignant, Two, Whitehead on July 5, 2013 by Ralph.